The Surly Big Fat Dummy. Fat tires and cargo bikes are two things that were sewn onto the Surly flag long ago, but for years the fabled combination has caused trepidation in all but the biggest believers. And hey, we get it- when executed poorly, 'combinations' tend to feature the worst of both worlds. We’ve probably all eaten a taco pizza that left us yearning for tacos, pizza, or some sort access to time travel. But! When combinations are executed well, well, sometimes you gotta just experience them to understand. Subaru Brat anyone? Our newest model is a refutation of the belief that you must choose between bringing what you need and riding your bike, a refutation of the belief that you can’t carry that there on a bike, and an inch forward for what is possible on a bike for a lot of people. I am going to spend a little time walking through some of the finer points of our new flagship, explaining some of its features, and answering some of the questions you might have. It’s a complicated bike so this will take a lil’ bit. Please tuck in while I attempt to explain what makes this bike tick, why it’s more than a widened Big Dummy, and how it may or may not fit into your life. First off - why did we make the Big Fat Dummy? Skipping the obvious answer of “Well, Duh,” haulin’ stuff requires cargo room, drivetrain/chassis support, traction, and horsepower. The more the better. You will need to supply your own horsepower on this ride, but we made this bike because it allowed us to maximize every other variable in the haulin' equation. This makes the Big Fat Dummy the most capable hauler we have ever made. Fastest? In many cases yes, but that really depends on the terrain. Most capable? Definitely. We started from a clean slate on this one and designed a completely new frame that offers improved stiffness, drivetrain compatibility, and riding geometry, which is pretty much everything. As you can see the Big Fat Dummy frame is a whole new animal. It has traded in boom tubes for some shiny new trusswork that uses triangulation to keep everything good and stiff. It is stretched out, beefed up, and brought up to today’s standards in most every way. 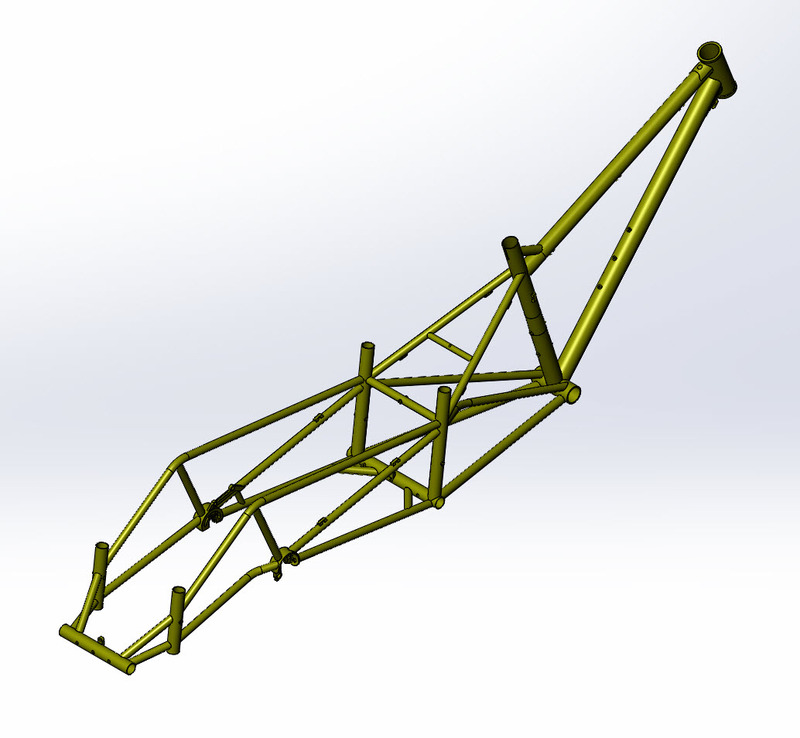 This new frame shares very few critical dimensions with the Big Dummy frame, and most parts won’t crossover, so let’s get started. How big of a tire can I fit in the frame? 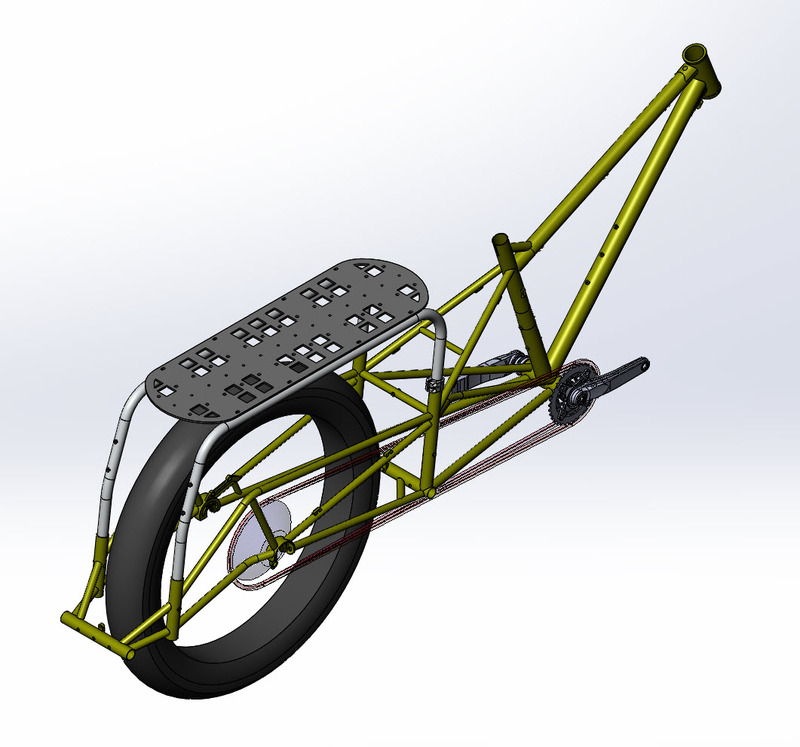 The Big Fat Dummy frame fits up to 26 x 5.25” tires on 100mm rims and 29+ is no problem. However! The extraordinary chainstay length of the Big Fat Dummy exaggerates chain-to-tire interference, meaning the rear tire you choose to run will have consequences on your drivetrain choices. We will discuss this more in depth a little later. What is the hub spacing/dropout situation? 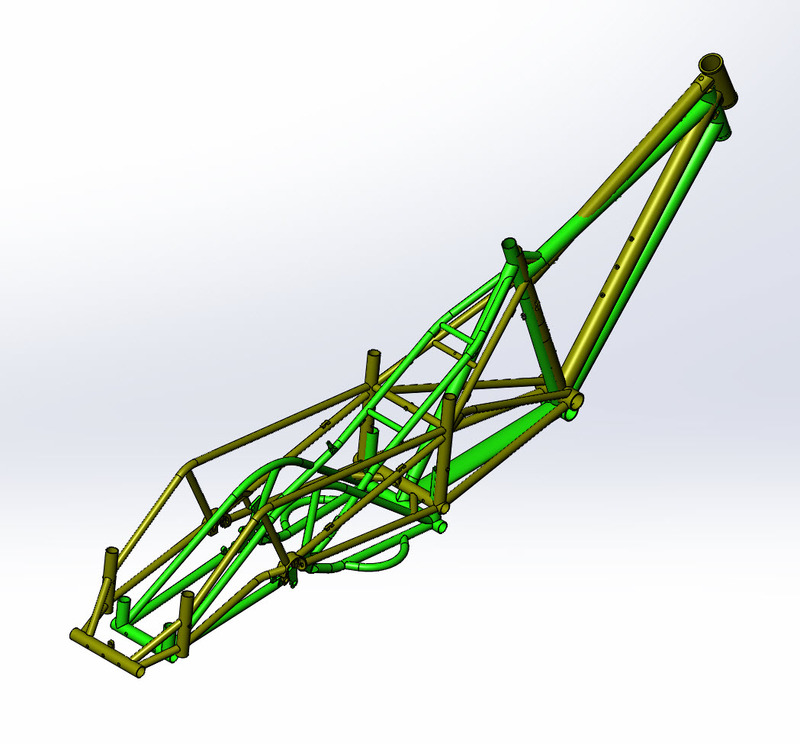 The Big Fat Dummy frame is built around a centered 10mm x 190mm QR or 12 x 197mm thru-axle hub. Pictured below are the all-new cast dropouts. Designed as a true 12x197mm thru axle Breezer-Style dropout and adaptable down to 10 x 190mm with our 10/12 adaptor washers if QR is your thing. What are the bottom bracket specs? The Big Fat Dummy features a standard 100mm threaded BB shell, but the 190/197mm rear hub spacing means we recommend using a crank with a chainline around 76mm for optimal shifting performance and drivetrain life. Big Fat Dummy complete bikes will ship with the 190mm version of Race Face Aeffect double crank. What is the riding geometry like? Of all the challenges associated with riding cargo bikes, I believe the biggest is attempting to unweight, let alone lift, front wheel while riding due to the massive wheelbase and weight distribution. This challenge means most riders end up riding around or drilling everything in their way with their front wheel. But no fear, the Big Fat Dummy head tube angle has been slacked out to allow your front wheel to roll over obstacles both on and off road more easily. 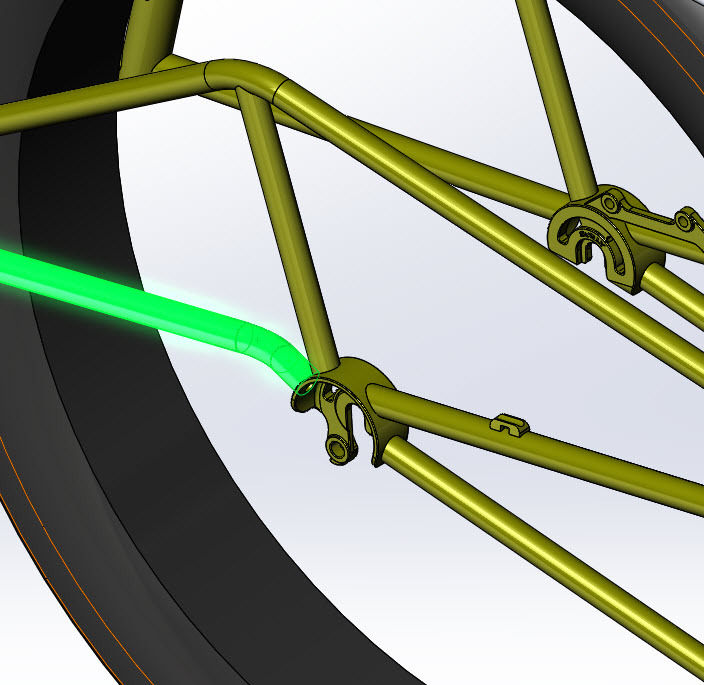 The bottom bracket has been raised to minimize pedal strikes and off-road chainring bottom-outs. 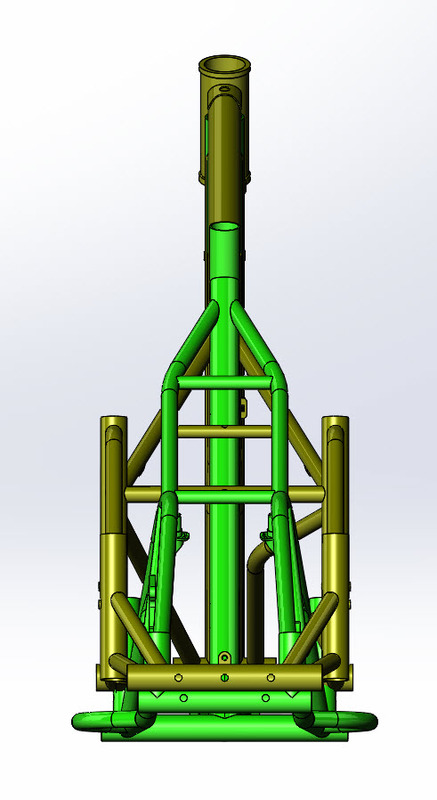 The top tube has been lengthened and the bike will come with a shorter stem. All of these changes add up to more stable ride, and when combined with a much bigger tire, the experience of riding the Big Fat Dummy is not unlike riding a cloud or magic carpet that happens to emit a lot of tire noise. The Big Fat Dummy’s updated geometry will help you ride confidently up and over logs, potholes, lesser bikes, and anything between where you are and where you gotta go, because sometimes you don’t have a choice. What kind of drivetrains can I run with different tires? Like stated earlier, you are good to go up to 26x5.25” in the Big Fat Dummy. The complete bikes will be shipping with 3.8” Nates on tubeless ready 80mm MOBD rims and the 190mm version of a Race Face 2x crankset. We spec’d smaller rear tires and wide Q-Factor cranks as a best compromise for most users because the 3.8” size pedals fairly well and allows a full 2x10 drivetrain. If you decide to increase rear tire size or install cranks with smaller a Q-Factor, you will need to make room for the chain. This can be done by running a single chainring up front, or truncating your cassette in the rear. Neither of these options are brain surgery, but both will reduce your overall gear range, and both can be more complicated than you might think. Truncating a cassette generally comes in two flavors: extending the limit screw on the rear derailleur and simply ignoring the innermost cogs, or removing and disassembling the cassette, removing the outermost cogs, and spacing the ‘truncated’ cassette out. 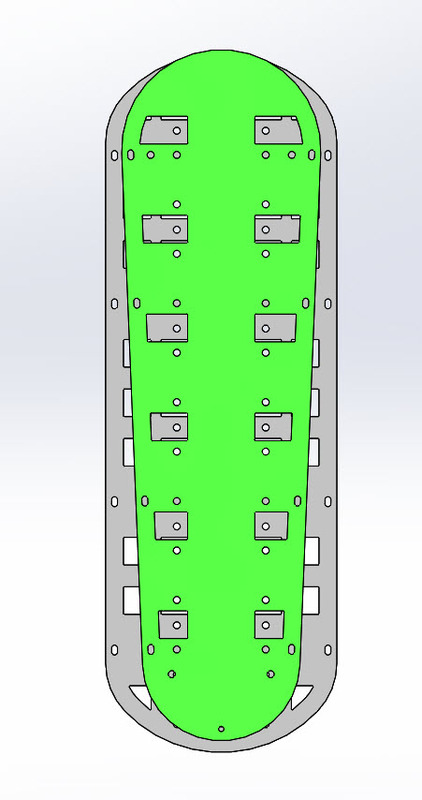 This approach is not only next to impossible on XD-style cassettes, it might require advanced cassette disassembly (or purchasing a cassette that can be completely disassembled), extended limit and B-screws, and a ton of patience. We highly recommend reviewing the parts you have and the parts you want to run with your friendly shop about this kind of thing. They have parts and tools there and can help you keep a level head while navigating the angry seas of parts compatibility. Bring a very warm coat. If I am OK with the stock tire, I need to make no other changes. If I want to run a Surly Bud in the back and run 2x up front, I need to truncate my cassette by 3 cogs. If I am OK with 1x up front, I can ditch the granny and only truncate 2 cogs. 2) I bought a complete Big Fat Dummy and I want to put huge 26x5.05” tires on it for the Arrowhead 135. 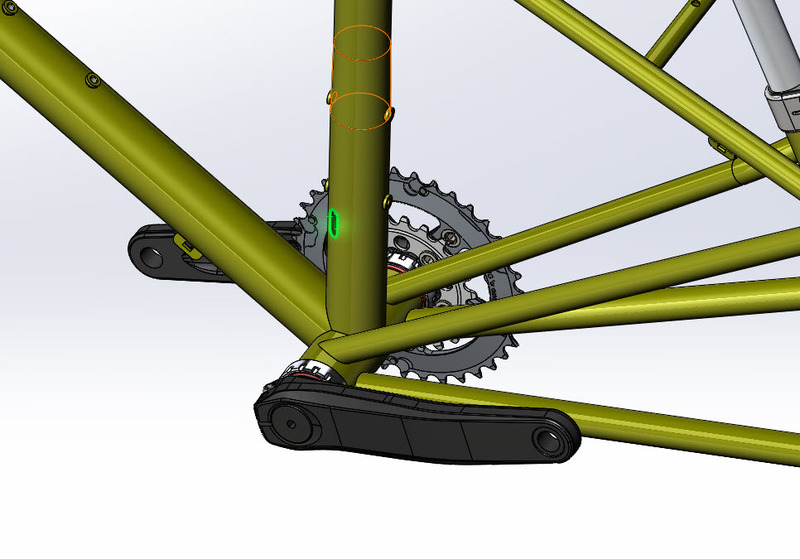 If I want maximum tire and minimum Q-Factor, I can run the Surly Pug OD crank, but I will need to truncate 6 (!) cogs to run 2x up front and 5 cogs to run 1x up front. 3) I bought a complete Big Fat Dummy and I want to run 29x3” tires in it. If you reduce tire width from stock, you are completely good to go. 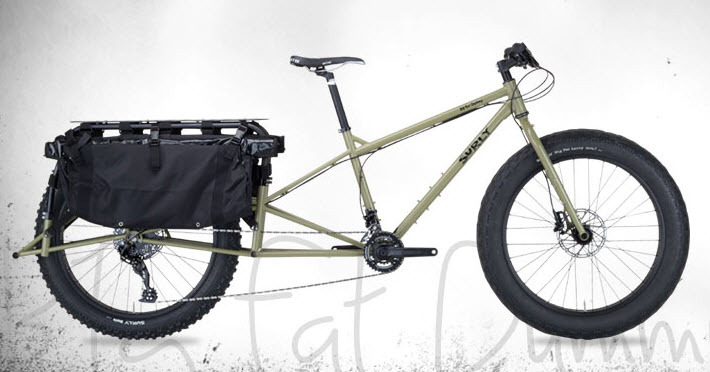 A complete medium Big Fat Dummy bike (with Dummy Rails, Deck, and Bag) weighs 54lb, 4ozs. Before you blow a gasket, that is only 5lb, 12ozs more than a complete medium Surly Big Dummy bike (with Dummy Rails, Deck, and Bag), which weighs 48lb, 8ozs. That’s a paltry 11% increase in weight for a gigantic increase in stiffness, stability, traction, and, well, badassery. For comparison, a complete medium Surly Wednesday bike (you do own a Wednesday already, right?) weighs 35lb, 10 oz. What sizes will it come in? The Big Fat Dummy will come in three sizes – Small, Medium, and Large. We stretched these three sizes out to span our usual XS-XL sizing. Our hope was to use shorter seat tubes with a longer seatpost so two people of different heights could ride the same size. We found it works pretty well – hell the Large size even fits Sov. And nothing fits Sov. Just ask him! See our website for the rest of the fit details. How big is it? Will it fit in my apartment? This is a big bike and it takes up a lot of space when parked. Access and parking space is a serious consideration for those inhabiting smaller or shared spaces. The Big Fat Dummy frame is 250mm (~9 ¾”) wide at its widest point without pedals or anything installed in the wideloader mounts. Which means if you are planning on taping off a parking space, I would account for about a 1’ x 8’ space against the wall. If you bring this thing in and out of your home a lot, your door casing will end up look like a pack of rabid beavers spent the weekend at your house. Or at least mine does. Will my XTRACYCLE stuff fit? Can I put a suspension fork on it? Hell Yes. The Big Fat Dummy has a 44mm headtube and we recommend up to a 100mm travel fork. Can I put a dropper post on it? Does it have a kickstand plate? Yes. Hugs and kisses from the Surly design team. Shimano Shadow Plus Derailleurs didn’t work with the Big Dummy. Do they work with the Big Fat Dummy? How much can I haul with it? As strong as the frame is, the bike still has the same real world limitations as our other bikes, and we recommend no more than our standard Big Dummy limit of 400lb combined rider and cargo. Have you ever hauled 200lbs on a bike? It’s gnarly. Can I haul my kids with it? Yes! You will need to install our Surly Dummy Rail Collars to clamp everything down and be safe. Clamping the dummy rails to the frame not only keeps your most precious of cargo safe, it helps keep you sane by eliminating a lot of rattling on the trail. The good news is that Big Fat Dummy complete bikes will ship with them. What is the frame made out of? Can I run rim brakes? Can I set it up tubeless? Yes! The stock Surly 26 x 80mm My Other Brother Darryl Rims are tubeless ready. I’m building up a frameset. What are some weird things I need to know? You will need two chainzzz. You might get away without tandem length hoses and cables. A few stock hydro hoses and cables were barely long enough, a few were a little short. I wish I had a better answer for you. 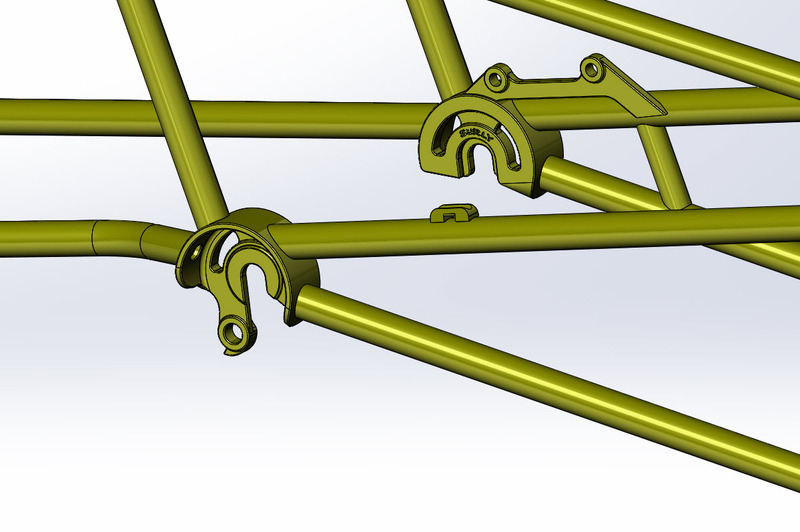 Framesets will come with frame, fork, vertical racks, top deck, Surly Dummy Bags, thru axles (front and rear), and a seat collar. Can I set it up as an E-bike? When can I get my grubby hands on one? This April, give or take. March? Let us go on record to say that the Big Fat Dummy is no novelty bike. It’s better than you’d think. It eliminates a lot of anxiety about cargo hauling and riding in shaky conditions at the same time. It’s steady and not at all tiring to ride, which can make it surprisingly fast in challenging terrain. 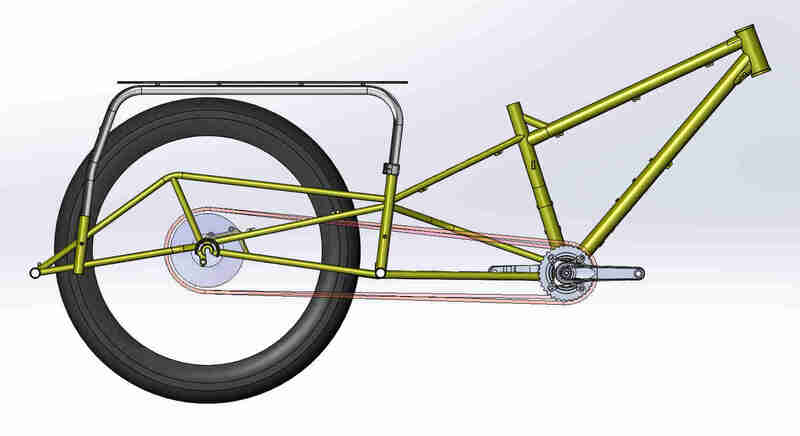 Depending on your needs, it has real potential to be a better cargo bike than our other cargo bikes and a better fat bike than our other fat bikes for you. The Big Fat Dummy’s combination of extraordinary wheel size and extraordinary wheelbase means it has unparalleled traction on fairly level ground. We have never ridden a bike that makes ice-rutted alleys and mashed potato ditches easier to navigate. Deep snow and footprints all but disappear. When it comes to covering ground in the slop, it is damn near unstoppable. It literally walks all over the others, even our other most capable fat bikes. If there is a price to pay, the Big Fat Dummy gives up on steep uphill traction because it’s pretty hard to weight a rear tire that is a mile behind you. If your path is steep, uphill, and slippery, it will be a challenge on any bike, and this bike will be no exception. Its updated riding geometry, stiffness, and wheel capacity means this bike is simply easier to handle and easier to dial in to your needs than other cargo bikes. 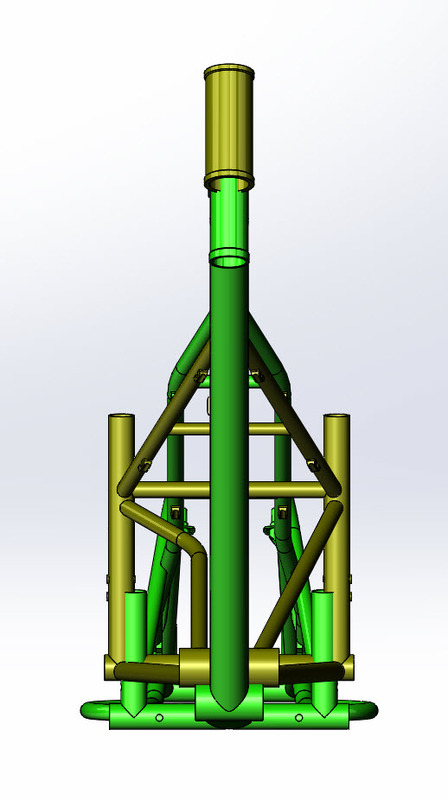 The Big Fat Dummy’s trellised frame significantly reduces cargo wag with even the biggest loads. 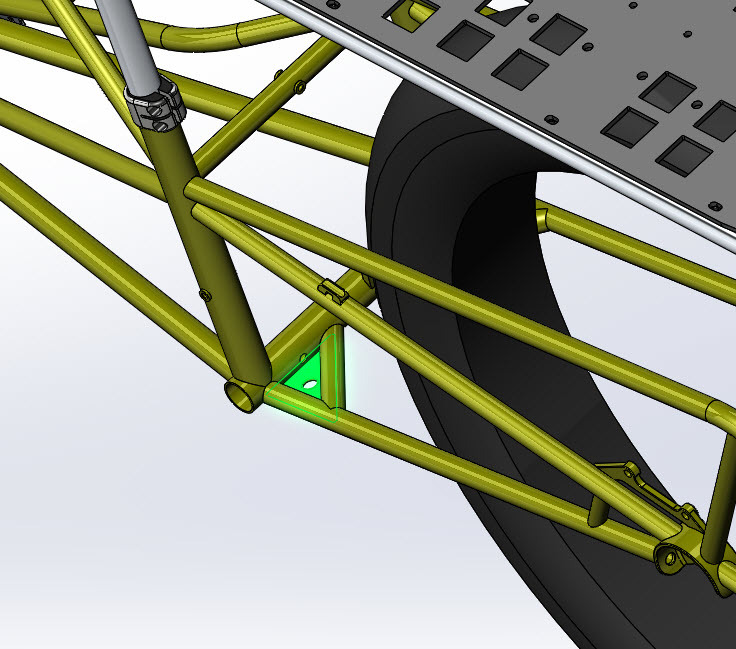 Wide hubs and thru axles tie the frame together and make for stiff wheels. Big tires give you the traction and compliance you need for the surface you have to navigate. Whether your route is 100% pavement, 100% sandy beach, or 100% flooded bog, there will be less washing out the front end, less pedal strikes, less dismounts, and less sketchy moments. Carrying cargo is all about getting there in a predictable and safe manner, and this is the bike was born and bred for that one goal.